The recent advancements in deep learning have revolutionized the field of machine learning, enabling unparalleled performance and many new real-world applications. Yet, the developments that led to this success have often been driven by empirical studies, and little is known about the theory behind some of the most successful approaches. While theoretically well-founded deep learning architectures had been proposed in the past, they came at a price of increased complexity and reduced tractability. Recently, we have witnessed considerable interest in principled deep learning. This led to a better theoretical understanding of existing architectures as well as development of more mature deep models with solid theoretical foundations. In this workshop, we intend to review the state of those developments and provide a platform for the exchange of ideas between the theoreticians and the practitioners of the growing deep learning community. Through a series of invited talks by the experts in the field, contributed presentations, and an interactive panel discussion, the workshop will cover recent theoretical developments, provide an overview of promising and mature architectures, highlight their challenges and unique benefits, and present the most exciting recent results. Winners of the Best Paper and Best Student Paper Awards announced! All contributed papers are now available in our online proceedings. Aug 3 - Titles and abstracts of the invited talks posted. Jul 29 - Acceptance notifications sent. The submission deadline has been extended to Jun 28. Jun 13 - Paper submission website open. May 30 - Call for papers and submission instructions are now available. Best paper awards announced! The Generative Adversarial Nets or GANs framework (Goodfellow et al'14) for learning distributions differs from older ideas such as autoencoders and deep Boltzmann machines in that it scores the generated distribution using a discriminator net, instead of a perplexity-like calculation. It appears to work well in practice, e.g., the generated images look better than older techniques. But how well do these nets learn the target distribution? Our paper 1 (ICML'17) shows GAN training may not have good generalization properties; e.g., training may appear successful but the trained distribution may be far from target distribution in standard metrics. We show theoretically that this can happen even though the 2-person game between discriminator and generator is in near-equilibrium, where the generator appears to have "won" (with respect to natural training objectives). Paper2 (arxiv June 26) empirically tests the whether this lack of generalization occurs in real-life training. The paper introduces a new quantitative test for diversity of a distribution based upon the famous birthday paradox. This test reveals that distributions learnt by some leading GANs techniques have fairly small support (i.e., suffer from mode collapse), which implies that they are far from the target distribution. What does a generic deep function “look like” and how can we understand and exploit such knowledge to obtain practical benefits in deep learning? By combining Riemannian geometry with dynamic mean field theory, we show that generic nonlinear deep networks exhibit an order to chaos phase transition as synaptic weights vary from small to large. In the chaotic phase, deep networks acquire very high expressive power: measures of functional curvature and the ability to disentangle classification boundaries both grow exponentially with depth, but not with width. Moreover, we apply tools from free probability theory to study the propagation of error gradients through generic deep networks. We find, at the phase transition boundary between order and chaos, that not only the norms of gradients, but also angles between pairs of gradients are preserved even in infinitely deep sigmoidal networks with orthogonal weights. In contrast, ReLu networks do not enjoy such isometric propagation of gradients. In turn, this isometric propagation at the edge of chaos leads to training benefits, where very deep sigmoidal networks outperform ReLu networks, thereby pointing to a potential path to resurrecting saturating nonlinearities in deep learning. In recent years, by exploiting machine learning — in which computers learn to perform tasks from sets of training examples — artificial-intelligence researchers have built impressive systems. Two of my former postdocs — Demis Hassabis and Amnon Shashua — are behind the two main success stories of AI so far: AlphaGo bettering the best human players at Go and Mobileye leading the whole automotive industry towards vision-based autonomous driving. There is, however, little in terms of a theory explaining why deep networks work so well. In this talk I will review an emerging body of theoretical results on deep learning including the conditions under which it can be exponentially better than shallow learning. A class of deep convolutional networks represent an important special case of these conditions, though weight sharing is not the main reason for their exponential advantage. II will discuss implications of a few key theorems, together with open problems and conjectures. I will also sketch the vision of the NSF-funded, MIT-based Center for Brains, Minds and Machines which strives to make progress on the science of intelligence by combining machine learning and computer science with neuroscience and cognitive science. A critical component to enabling intelligent reasoning in partially observable environments is memory. Despite this importance, Deep Reinforcement Learning (DRL) agents have so far used relatively simple memory architectures, with the main methods to overcome partial observability being either a temporal convolution over the past k frames or an LSTM layer. In this talk, we will introduce a memory system with an adaptable write operator that is customized to the sorts of 3D environments that DRL agents typically interact with. This architecture, called the Neural Map, uses a spatially structured 2D memory image to learn to store arbitrary information about the environment over long time lags. We demonstrate empirically that the Neural Map surpasses previous DRL memories on a set of challenging 2D and 3D maze environments and show that it is capable of generalizing to environments that were not seen during training. Joint work with Emilio Parisotto. 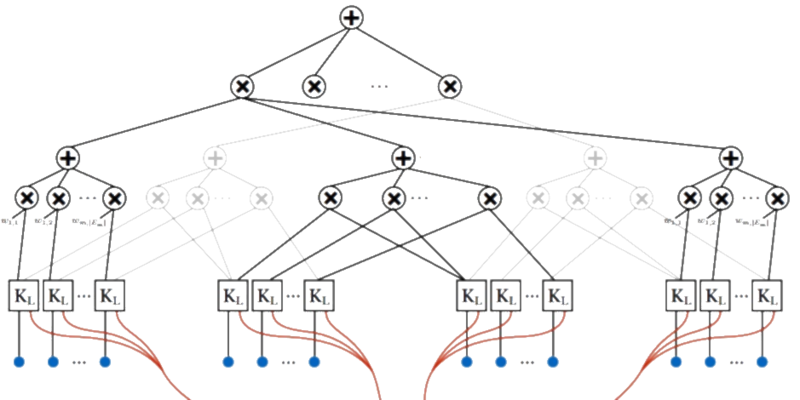 What is it that enables learning with multi-layer networks? What causes the network to generalize well despite the model class having extremely high capacity? In this talk I will explore these questions through experimentation, analogy to matrix factorization (including some new results on the energy landscape and implicit regularization in matrix factorization), and study of alternate geometries and optimization approaches. The workshop combines invited talks, presentations of contributed papers and an interactive panel discussion. The panel discussion will be interactive, involving the invited speakers, moderated by the organizers based on questions submitted and voted on by the audience using an online service. Both the invited talks and the panel discussion will be recorded, with answers to audience questions posted to the online service. The workshop will feature presentations of contributed papers during poster sessions, with a few selected submissions allotted a 15 minute time slot for an oral presentation (including 3 minutes for questions). 14:45 Contributed Presentation 4 - The Shattered Gradients Problem: If resnets are the answer, then what is the question? Best submissions will be awarded the Google Best Paper Award for the best paper and the Google Best Student Paper Award for the best student paper. Both awards come with a prize of 600$ sponsored by Google. 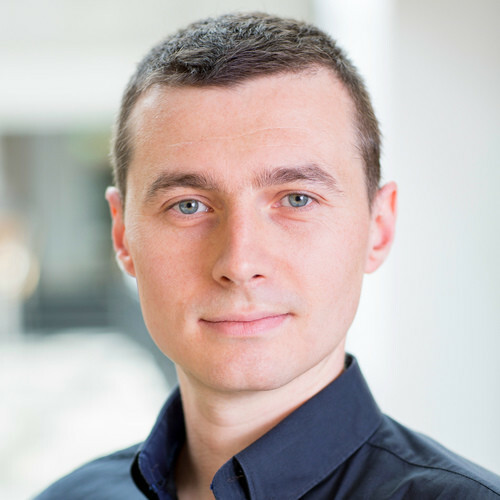 Andrzej Pronobis is a Research Associate in the Department of Computer Science and Engineering at the University of Washington in Seattle, as well as a Senior Researcher at KTH Royal Institute of Technology in Stockholm, Sweden. His research is at the intersection of robotics, deep learning and computer vision, with focus on perception and spatial understanding mechanisms for mobile robots and their role in the interaction between robots and human environments. His recent interests include application of tractable probabilistic deep models to planning and learning semantic spatial representations. He is a recipient of a prestigious Swedish Research Council Grant for Junior Researchers and a finalist for the Georges Giralt Ph.D. award for the best European Ph.D. thesis in robotics. Robert Gens is a Research Scientist at Google Seattle. His research interests are in machine learning, deep learning, and computer vision. He received a PhD in Computer Science and Engineering from the University of Washington. He completed an SB in Electrical Engineering and Computer Science at the Massachusetts Institute of Technology in 2009, received an Outstanding Student Paper Award at NIPS 2012, and was supported by the 2014 Google PhD Fellowship in Deep Learning. Sham Kakade is a Washington Research Foundation Data Science Chair, with a joint appointment in both the Computer Science & Engineering and Statistics departments at the University of Washington. Before joining the University of Washington, Dr. Kakade was a principal research scientist at Microsoft Research, New England. Prior to this, Dr. Kakade was an associate professor at the Department of Statistics, Wharton, University of Pennsylvania and an assistant professor at the Toyota Technological Institute at Chicago. 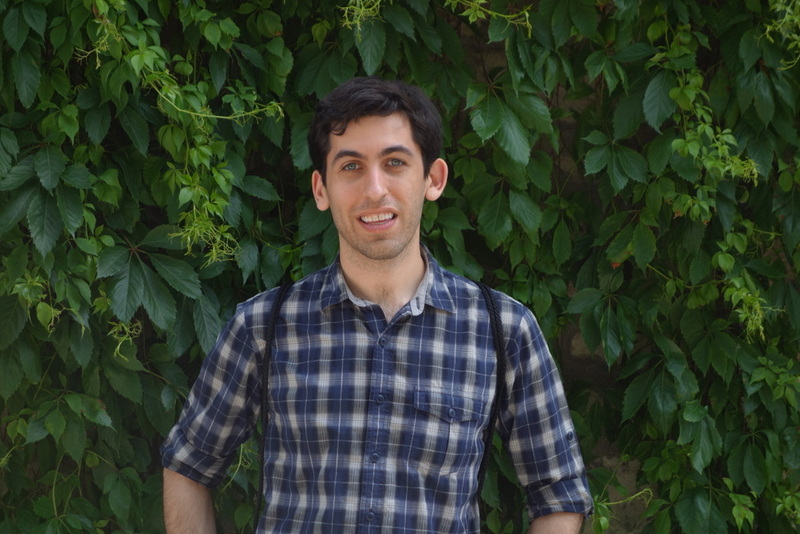 He works on both theoretical and applied questions in machine learning and artificial intelligence, focusing on designing both statistically and computationally efficient algorithms for machine learning, statistics, and artificial intelligence. More broadly, Sham has made various contributions in various areas including statistics, optimization, probability theory, machine learning, algorithmic game theory and economics, and computational neuroscience. He is a recipient of numerous awards and served as a chair for many conferences. 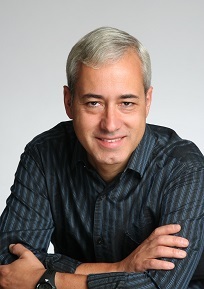 Pedro Domingos is a professor of computer science at the University of Washington and the author of "The Master Algorithm". He is a winner of the SIGKDD Innovation Award, the highest honor in data science. He is a Fellow of the Association for the Advancement of Artificial Intelligence, and has received a Fulbright Scholarship, a Sloan Fellowship, the National Science Foundation’s CAREER Award, and numerous best paper awards. His research spans a wide variety of topics in machine learning, artificial intelligence, and data science, including scaling learning algorithms to big data, maximizing word of mouth in social networks, unifying logic and probability, and deep learning.